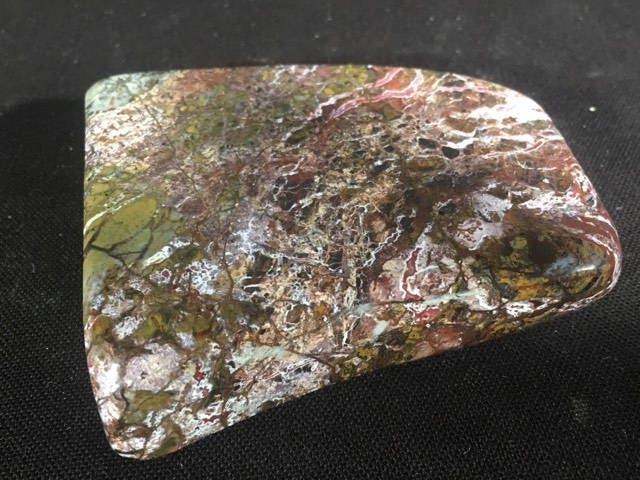 This beautiful Jasper has the most amazing colors. Mesmerized by the colors and patterns. Greens purples pinks red white all blend in this most amazing stone. It measures 3.5 tall, 2.5 inches wide, is .5 inches thick. It can be oriented to stand tall or on its side. No matter how you orient this piece it looks amazing. This is a polished piece and is smooth in hand.